What’s the difference between the Ford Transit Connect Van and Wagon? 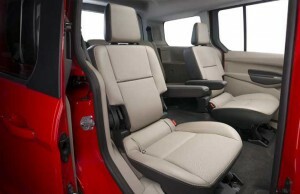 Home » Ford Transit » What’s the difference between the Ford Transit Connect Van and Wagon? When you’re in need of a commercial van, you want one that’s going to meet your needs for the long haul – and all the short ones, too. It’s also important to find something economical – not only when it comes to the upfront price, but also in terms of big-picture cost of ownership. Fuel economy, maintenance and repairs, and insurance will all factor in over time. 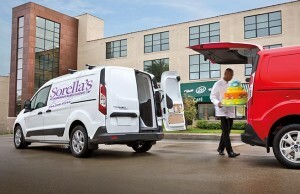 That’s why we think the Ford Transit Connect is such a great pick. Trusted and relied upon by business owners all across America, this is a cargo van or wagon that’s going to meet your needs AND your budget. Today we’ll go into detail about some of the different models available so you can find one that’s perfect for you. The base engine for the 2016 Transit Connect is a 169-horsepower 2.5-liter I-4 that gets 171 lb-ft of torque. On some models, like the SWB (that’s Short Wheel Base) van, there’s an available 1.6L EcoBoost engine that gets 178 horsepower and 184 lb-ft of torque without sacrificing fuel economy. When it comes to fuel economy, you’ll get 20 city/28 highway on the van and 19 city/27 highway on the wagon – more below on the distinction between those two, but the long story short is that the wagon’s a bit heavier, accounting for its slight dip in efficiency next to the van. EcoBoost models get 22 city/29 highway, with a combined rating of 25 miles per gallon. How much will the Transit Connect run you? It depends largely on the model you opt for of course, but the idea behind Transit Connect is to start basic, with a great introductory price so that you can customize and tailor your vehicle to suit your business needs to a tee. That’s why the starting MSRP for Transit Connect is just $22,675. 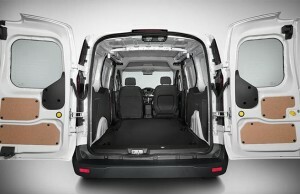 The decision to opt for the Ford Transit Connect Van or Wagon will be dictated by your answer to one simple question: Do you want to carry more people or more stuff? If your Transit Connect is to be used primarily for passengers, you’ll want the wagon. Got a lot of cargo to haul? The van is your jam. The van’s got a whopping 103.9 cubic feet of storage capacity and a hearty payload of 1,620 lbs. There are plenty of ways to upfit your Transit Connect Van to be just right for the type of hauling you need to do – Let us know if you have questions about whether the Transit Connect Van is right for your business! As for the wagon, it’s got ample seating for up to 7 passengers on the long-wheelbase version, and up to 5 for the short-wheelbase wagon. >> Fun Fact: Both the van and wagon having a towing capacity of up to 2,000 lbs! Please let us know if you’d like more information about our current cargo van and passenger wagon options at Western Slope Auto. We’d be happy to help. What’s the difference between the 2016 Lincoln MKZ and MKS sedans? This entry was posted on Tuesday, March 29th, 2016 at 2:32 pm	and is filed under Ford Transit, Vehicle Comparison. You can follow any responses to this entry through the RSS 2.0 feed. You can skip to the end and leave a response. Pinging is currently not allowed.